Annotation: A fat cat comes to live with a grumpy old man but causes so much destruction the old man throws him out. It doesn't take long for the grumpy old man to realize how much he misses that cat's company. Contributor Bio(s): Julia Patton is an award-winning author and illustrator who has produced over twenty-five picture books and educational titles. Recently she was selected as the only illustrator of a compilation of celebrities for the BBC Children in Need Appeal. She lives in England. 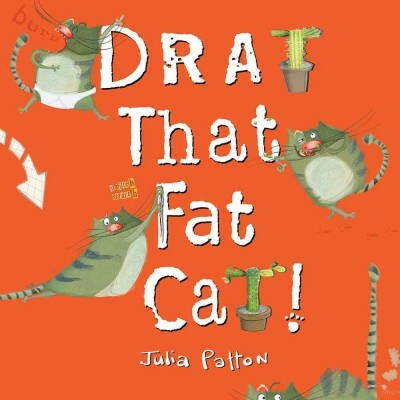 Julia Patton is an award-winning author and illustrator who has produced over twenty-five picture books and educational titles. Recently she was selected as the only illustrator of a compilation of celebrities for the BBC Children in Need Appeal. She lives in England. After a fat cat arrives at the neat home of elderly Cornelius, the mess the cat creates forces the old guy to kick him out. But the lonely quiet prompts a reunion, with promises for more patience (on Cornelius's part) and tidiness (on the cat's). Energetic cartoon-like illustrations enhance the amusing story--which ends with the foreboding arrival of a scruffy puppy. Copyright 2017 Horn Book Guide Reviews.